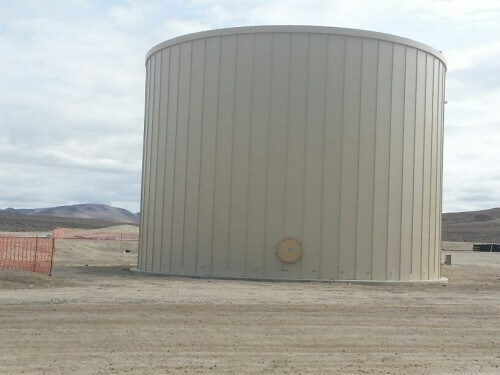 MC&I designed, manufactured and installed the RIDGLOK® Vertical Standing Seam Insulated Panel System at a Geothermal Power Plant, located in Hazen, NV. 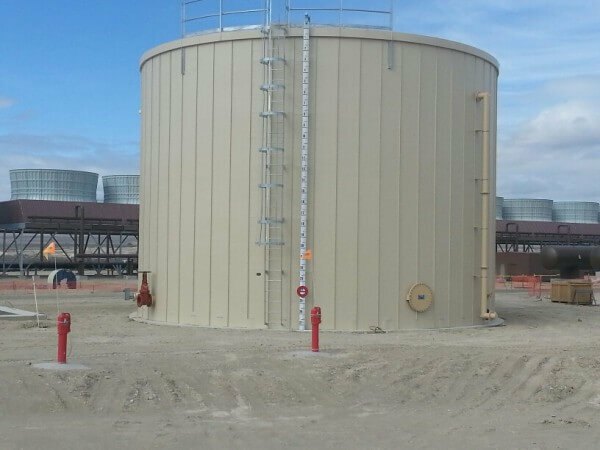 The power plant storage tank was a 38.62′ diameter x27.45′ high bolted tank. 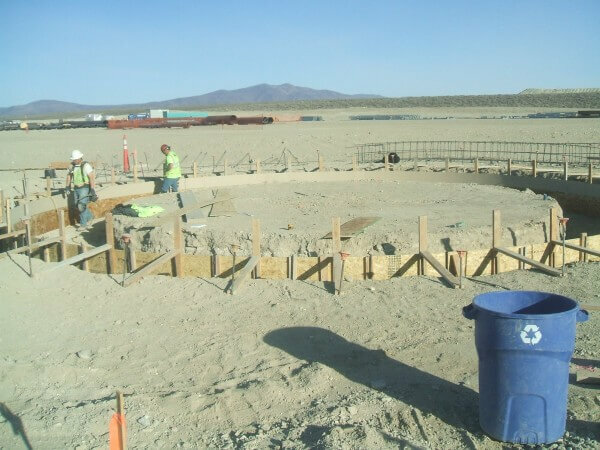 The storage tank insulation project was completed on May 6, 2013. The RIDGLOK® Vertical Standing Seam Insulated Panel System consisted of 0.024 stucco-embossed aluminum metal jacketing, in fawn color, laminated to 2″ of polyisocyanurate insulation board. R-value of 13.1, using a standard roof system.